Spring is in the air and the sun has begun to shine on the housing industry. Last week, the Commerce Department reported that construction of new homes and apartments in February (2009) were up twenty-two percent (22%) from January (2009). A large increase in apartment construction is said to have led the charge. January’s 470,000 new units were expected to decline to 450,000 in February; instead, they rose to 583,000 units. 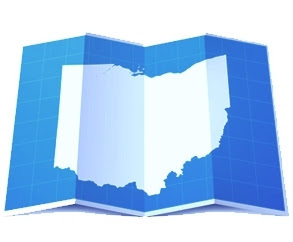 Yesterday, the Ohio Association of Realtors reported a 12% increase in Ohio home sales from January to February, 2009. For those who like to look beyond the silver lining and focus on the clouds, simply compare February 2008 to February, 2009. Construction (on a national basis) is down 47%, and Ohio home sales are off 22% from a year ago. Personally, I think it is time we focus on the half-full part of the glass. Throw in good “Dow gains” and the Obama Administration’s new plan to help banks dispose of so called “toxic assets” unveiled on March 23, 2009, and at least we have something to smile about. More importantly, according to the Cleveland Plain Dealer’s March 24, 2009 headline article (Dow surges 497 on bank plan details), “(w)hile its still early, local bankers were optimistic about the program”.